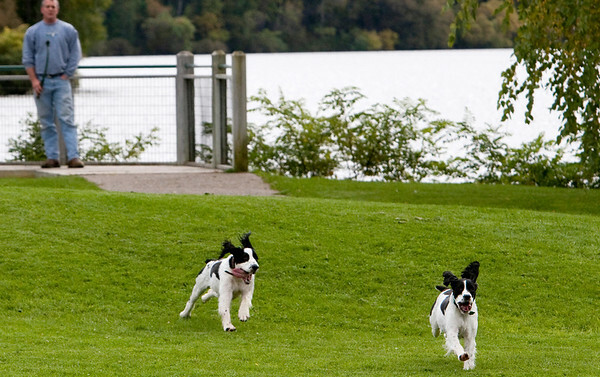 Sam Larsen watches as his two dogs, Maggie and Lizzy, take off after a ball he threw for them in Hull Park. The dogs, 4- year-old English Springer Spaniels, are sisters. "They just love coming here," he said.